In love with the beautiful heiress Laura Fairlie, impoverished art teacher Walter Henright finds his romantic designs thwarted by the scheming of wicked Sir Percival Glyde and his sinister ally Count Fosco. The mystery and intrigue are deepened by the ghostly appearances of a woman in white, harboring a secret that concerns Sir Percival's past. 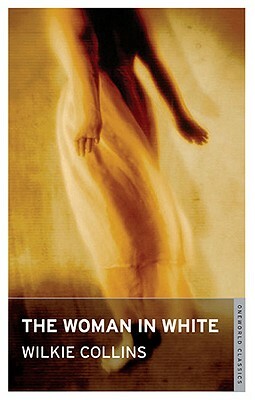 A tale of love, madness, and identity, boasting sublime Gothic settings and pulse-quickening suspense, "The Woman in White" was the first bestselling Victorian sensation novel, sparking off a huge trend in the fiction of the time with its compulsive, fascinating narrative. Wilkie Collins (18241889) was an English novelist, playwright, and short story writer. He is best known for his "sensation novels," the forerunners of modern detective fictions, which won him great popularity when they were published in his friend Charles Dickens's publication "All The Year Round.""